In the past Akram has turned down the PCB’s offers to coach, citing his responsibilities as a commentator. While he did state that he still doesn’t have much free time, he said that whenever he is in Pakistan, he could juggle his routine to have time to coach fast bowlers. When asked about the upcoming series between Pakistan and Sri Lanka in the UAE, Akram said Sri Lanka are a good side but not good enough to beat Pakistan. He pointed out that their bowling attack has struggled without Muttiah Muralitharan, who was responsible for 40 per cent of the team’s wickets during his career. “Sri Lanka is a good team but without Murali [Muralitharan] and [Lasith] Malinga they can’t bowl out Pakistan twice in test cricket,” Akram said. “I don’t see Pakistan losing unless they play very bad cricket. Pakistan will play three Tests, five ODIs and a Twenty20 International in the three Emirates of Dubai, Abu Dhabi and Sharjah, as Pakistan are currently unable to host international cricket amid security concerns since the attack on the Sri Lanka team in 2009. Given the situation, Akram said the PCB should create an alternative home country for the team. NO he is not fit for that job . If u look at his past he was also involve in SattaBazi. 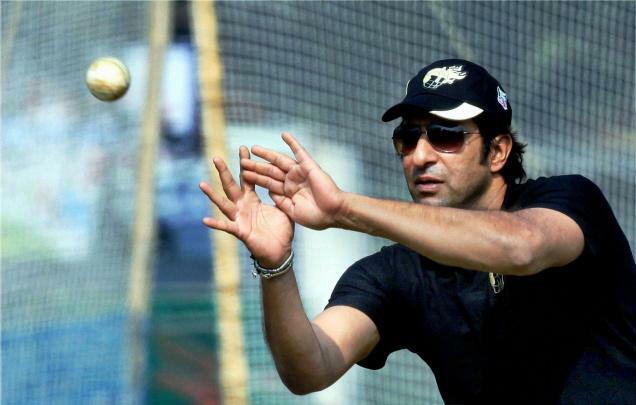 Great Wasim Akram will be a great balling coach for pakistianteam if not than pakistan team will be unlucky,thankyou. Wasim Akram jaise bowler ka hona buhat zaruri hai team ki coaching k liye..